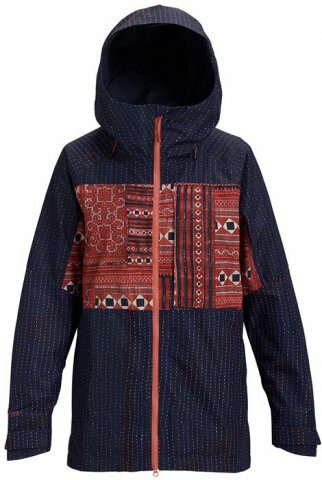 The Burton Women’s AK Gore-Tex Blade Jacket is a really well-constructed shell that should last for many seasons. The AK Gore-Tex offers great waterproofing and breathability for storm riding, spring riding, or hiking. The Blade shell has a great fit to it that is relaxed with plenty of room to custom layer, and it looks great too. I like that there is a nice lining on the inside so if you do wear it as just a shell it is still comfortable. We try to get as many images of the Burton AK Gore-Tex 2L Blade, but forgive us if they're not all there.